WisCon happened! …last month. This is the fifth year I attend, and every year I say that I’m going to take detailed notes and write up panels afterwards, and that has never actually happened. So this year I gave up entirely, but after the fact decided to take a page from BFF Jess’s book and do shorter reactions instead. So here we go, everything I did at WisCon 39. I actually went to this panel last year, too, since last year was my first time moderating. I felt like the refresher couldn’t hurt, and I’m glad I went, since I modded two panels. (Obviously this wouldn’t be a huge draw otherwise.) It did what it said on the tin – provided tips, tricks, and anecdotes about how to moderate a panel, what to do with tricky audience member (and panelists), etc. Very practical, useful stuff. Why All the YA Hate? This was the first one I moderated! I obviously have a reason to be interested in this one, and had tons to say…but hopefully I didn’t talk too much, seeing as how I was there to moderate the actual panelists’ discussions. To prep for the panel, all of us involved read a bunch of the think pieces that go around about why adults should be ashamed to read YA, and of course I was filled, once again, with an almost incandescent rage. So it was good to be part of a take down of all of those arguments. Some of the arguments we discussed and dismantled: sexism (YA is considered to be by and for girls, therefore it’s bad); immaturity (it isn’t Great Literature and therefore it’s bad); artistic failure (YA is poorly written and therefore it’s bad); and we talked about why we do love it (because YA is awesome; because it is experimental, spans all kinds of genres (and crosses over between them); because it is emotional, exciting, and fast-paced, among many other reasons). I actually was the one who submitted this panel to the programming committee, though I wasn’t on it or officially involved. I suggested it because of what I perceived as something that felt generational – a split between people who have been going to the con forever and people who are newer – that was reframed by one of the audience members as being more about existing (or non-existent) networks than about generations. However, most of this panel turned out to be a preview of “What Happened With WisCon Last Summer?” – discussion into the cultural split between groups that led to a large amount of turnover in the leadership of WisCon. It was very intense and helped me refine my thoughts on both aspects of the panel. Cultural Literacy or Cultural Appropriation? This was a great mix of useful and fun! It challenged the idea that these tired terms are even useful. For example, where’s the line between infodumping and exposition – and if a non-genre reader picks up a fantasy novel, are they likely to interpret exposition as an infodump because they don’t know the genre conventions? Someday I should write about my not-so-positive feelings about religion in SF/F…but this is not that post. I was interested in this panel because, while religious themes are something I prefer to avoid, I’ve got a space opera brewing in the back of my mind and since I want it to be distinctly the future of this world, I am not sure what to do with that in terms of religion. So I figured I’d check this out. It was interesting, but late at night after a full day, and I wasn’t familiar with most of the referenced texts. So there was some food for thought, but most of my thoughts were lost to exhaustion, alas. This panel was about the clash (or is it a clash?) between fan culture and corporate media, and how one may be influencing the other. But it was actually two panels in one: the description talked specifically about whether or not Disney was writing its own fanfiction with movies like Frozen, Enchanted, and Maleficent, as well as the idea of fan and corporate media clashes. The Disney portion of the panel concluded that while modern Disney movies are often in conversation with earlier Disney movies, that’s probably not a spillover from fan culture. However, marketing for Disney and others certainly can be, as nerd culture becomes more mainstream. Fandom has become a force that marketers want to tap, and will market directly towards. Hey, what can I say, I’m a fangirl at heart, and I enjoy the fandom track at the con every year. This actually touched on a lot of the same issues as the previous panel, but was more directly about the interplay between creators and fans. The upshots were: there are creators/stars/etc who step across the fourth wall and do it very well, because they get fan culture and can engage on that level; there are creators/stars/etc who do it poorly because they expect those interactions to be on their terms; and there are fans who also do it poorly, because they expect creators/stars/etc to be in their world when they aren’t. How Do You Recommend Problematic Things? Oooh, this was a good one, because essentially everything is problematic on one level or another, so it can be hard to find that balance between squeefully recommending something, and realizing that what while it worked for you, the problematic aspects may be harmful for others. There were a lot of really thoughtful discussions in this, like, “Well, it wasn’t racist for its time…” in dealing with historical works and how that’s often not even accurate, let alone an excuse; and wanting to point out problematic aspects not because they necessarily bothered you, but because you want to signal to other people that you do indeed understand what’s problematic. The second panel I moderated! This one was also my idea and I’m very proud and pleased with how it turned out. We actually ended up with a great generational spread of panelists (the youngest in her 20s and the oldest in his 60s) so we talked not only about the books we loved when we were pre-teens, but also about changes we’ve seen in the books that are popular (or available at all – like the major change that happened with the YA explosion). What Happened With WisCon Last Summer? 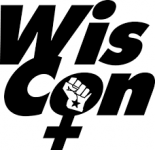 As mentioned previously, there was a huge change in WisCon leadership in th elast year, and a lot of it came from cultural shifts in general, as well as specific fallout from a few issues of harassment. This panel was emotionally draining, but I’m so glad I went. I love WisCon, and when it fails, I want it to recover and do better, and I think it is. By Monday, complete exhaustion had set in, so this was the only panel I managed to get to before heading out. Though this started with Hogwarts, and the idea of the British boarding school for magic, it looked at what school in general looks like in different cultures and how that might affect magic schools. Other ideas discussed were magic apprenticeship (which is reasonably common in fiction), magic public school or magic as part of a school carriculum but not the whole of it (seriously… what else do they learn at Hogwarts? ), and even magic as community college (one of the panelists is writing that as a novel, which sounds rad — did anyone catch the name?). I think I attended more panels this year than I ever have previously (or if not, then pretty close). And though I feel a teensy bit guilty about it, I also focused more on attending the panels I was most interested in instead of those my friends were on. But guilt aside, I’m glad I did, because most of these panels were great. WisCon always reminds me, though, that one thing I’m not great at and wish I could do better at is making connections. I’m not good at introducing myself to people, or reconnecting with people I’ve met in previous years but don’t know well. I’m very glad I have a network of friends I attend with every year, because otherwise I’d feel completely out to sea. Finally, as always, I feel like attending WisCon has left me a more thoughtful person and I love the diversity of perspectives I run into over the weekend. It has taken me awhile to write this up, but every year, I feel this way. I head home from the long weekend physically exhausted but creatively energized, and thrilled to be part of this community. And ‘Gooseberry Bluff Community College of Magic’ by David Schwartz was the book written by the Hogwarts panelist.